The whole ibis Pantin Eglise hotel team wishes you a warm welcome. Take advantage of our ideal location, right by metro line 5, to discover the Parisian monuments. See you soon! The ibis Paris Pantin Eglise hotel is located in the center of Pantin, right next to the Eglise de Pantin metro (Line 5). The hotel has air-conditioned rooms with free WIFI, and 3 rooms are specially adapted for guests with reduced mobility. 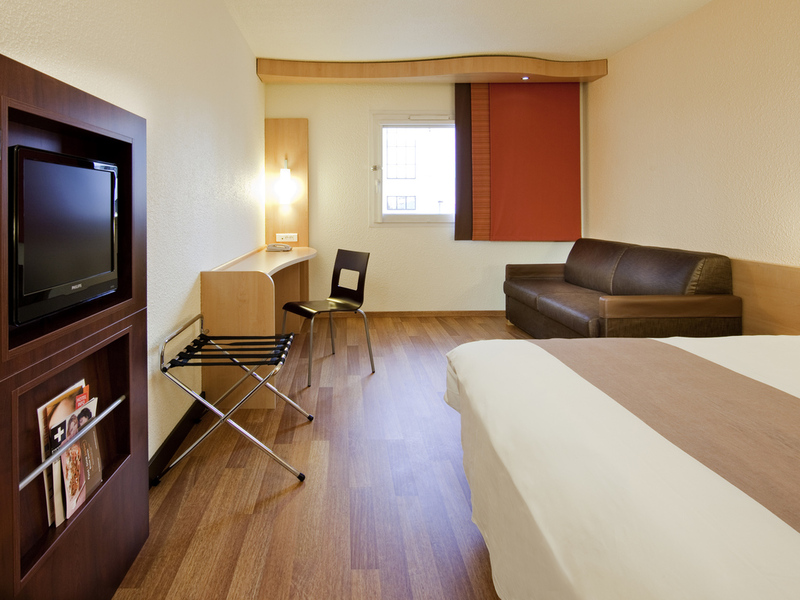 The ibis Paris Pantin Eglise hotel is situated near the Cité des Sciences de la Villette and the famous Zenith arena. The Villepinte and Bourget exhibition centers are 20 min away. Direct access to the Gare du Nord and Gare de l'Est stations by metro line 5. The Parc de La Villette, home to the Cité des Sciences, Zénith, Grande Halle and Philarmonique de Paris, is 0.9 miles (1.5 km) away. To watch sporting events or concerts, the Stade de France in only 20 minutes away by public transport.